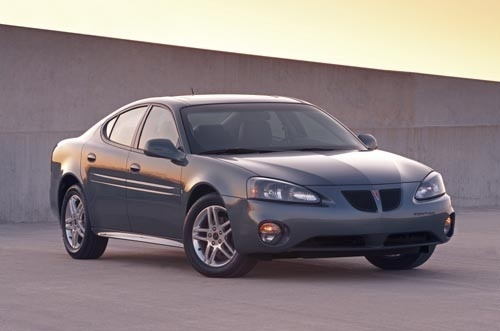 Have you driven a 2008 Pontiac Grand Prix? Displaying 1 - 10 of 28 2008 Pontiac Grand Prix reviews. Great American Car — I love everything about this car. The only thing I didn't care for was the stock radio so I replaced it with a Pioneer AVH-X2700BS and mounted a monitor in the back of the passenger seat headrest so my daughter can watch her shows on long trips. Pros: Very reliable. Maintenance is easy and repairs are few and far between. Cons: GM no longer makes this vehicle, which makes sense seeing as it won't die (which would force me to buy a new car). 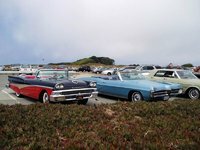 CarGurus has 1,111 nationwide Grand Prix listings starting at $1,250. Everyone Loves It! — I love this cars sound system and power. It looks great on the road and it's gas mileage is impressive for being 7 years old. Very easy to control all year round and it's acceleration is impressive. Absolutely love it! Pros: Great car and very reliable. Cons: Nothing is bad about this car. Fun, Powerful And Efficient! — The GXP has been a great car to own. I enjoy driving it daily, the additional power makes it fun to move through traffic with and just relax with minimal transmission shifting as it moves through corners or hills. You would think it would be a guzzler but the GM V8 to V4 fuel management system really works as it throttles back to 4 cylinders when cruising down the highway. Pros: The GXP is a fun car to drive. Has a wonderful exhaust note that makes you smile whenever you push the pedal. Surprising fuel mileage getting 25-26 mpg on most tanks. Cons: It's a sports car, has a tight suspension, not always the smoothest ride but that's not why you buy a GXP. I Love My 08 Grand Prix, But I Had To Personalize It To Feel That Way. — I love my 08 Pontiac Grand Prix Base, I have slept in this car so many times, spent hours and hours in this car on several different occasions; whether it was installing an aftermarket stereo system, installing LEDs, seat covers, scheduled maintenance, and just relax and listen to the music. It might be weird but she is like my baby and her name is Penelope lol I truly have to say, that this car has been through quite a beating in the last 4 and a half years... I just hope she can hold out for another 4 and a half years! Pros: I love this car; the looks, performance, handling (for the size of the car), and the interior... how the radio, climate control, and DIC are slightly positioned towards the driver. Cons: For the 2008 base model, there isn't a whole lot you can do to it (performance upgrades) without it being strictly custom. When I installed an aftermarket radio, I spent $108 on the wiring harness and interface module alone. Also, if you are someone that thinks they know just ENOUGH about car audio installation to try and do it yourself... I would recommend that you have a car audio technician work the install because of the interface module and the RAP (Retained Accessory Power). Perfect Cool Car — I loved everything about this car, how it handles and mostly how reliable it is. It tells you when you need oil change and more. The car sounds great and the engine is strong and powerful. I love how roomy it is. No trip to the shop unless for oil change and inspection of vehicle. This car is very safe and really fun to drive. Pros: Very nice and stylish look. Handles very well with lots of power. Car is very comfortable for a 6foot 3 person as myself. Descent gas mileage for daily commuting because car is solid and strong. Cons: Sometimes you can be going a little too fast and not realize it because its so comfortable. Amazing — I love the power and the look of this car! Its amazing!! This is my second GXP! Great price for a sports car 5.3L V8 engine with this many extras. Its a shame they don't make these anymore. And if muffler sounds are something to appreciate then you'll love this car even more! Has a dual exhaust rumble that people stop to notice! Pros: V8 power is exceptional. Handling is exceptional because of the wide wheel base. Front wheel drive. 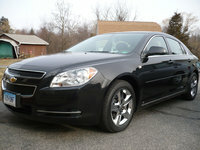 Quality built GM product is very sturdy, products used to make this car are top of the line. Cons: Repairs to a V8 motor are more expensive than standard engines whether car or truck. Great Car I Will Never Get Rid Of It! — I love everything about this car so far for the most part, it moves when you need it to and can take turns at high speeds like an indy car lol, I have had a chance to drive this car out of state and loved the ride, the V-8 is pretty thirsty as expected however for me the performance is worth it. 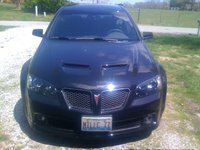 Pros: Everything, I have had my Grand Prix GXP for a couple of months now and love it, I have the heads up display, sun roof, V-8, great handling, FAST!! !, and looks good. Cons: Back seat head room is lacking and it is not as wide inside as it looks outside. Best 4 Door I've Ever Owned. — Had the car since new (07). Never left me down, looks great in black and overall performance is great. I've seen more than 900 km's per tank and it's always a blast driving on the open road. Resale value is pretty bad, but that's the case with most of GM's sedans. Cons: stiff ride, hard back seats. Pros: Pretty fast car. Nice V8 sound from the quad exhaust tips. Good sound system, but would've rather had the upgraded Bose sound system. Steering stays stiff even at highway speeds with none of that "floaty" or "numb" steering felt which plagues many of the luxury brands. FWD performs a lot better than I thought; you can easily mistake this car for one with RWD. Standard remote start was amazing for the winter. Acceleration from a stop is pretty good as well. Gas mileage is decent for a car of this size, but I guess you pay at the pump as a compromise for the more powerful engine. Oh well. Cons: The interior has a lot of "empty" space; the same interior used in the first-generation Cadillac CTS is the same used here. The A-pillars are so thick; you have to really stretch your head out to peer around corners before making turns. Would've definitely like to have seen more aluminum trim inside the car. Pontiac was supposed to be the sport brand of GM anyways. Wind-noise dampening could have been a lot better. The red LEDs that illuminate inside the car could have been avoided as well as I find they really interfere with nighttime driving. Overall, this car really surprised me. It's a lot nicer than I had made it out to be, and a lot more powerful than I had expected. Hopefully the many downfalls of this car have been addressed with the G8 replacement for the Grand Prix. Too bad that GM let go of Pontiac; they weren't a strong enough brand to survive by themselves anyway. Pros: Sick first car to have. Cons: Too many on the road. It's Fast As Hell — This car is very fast, it has good acceleration, excellent braking and handling, and the fun factor is 10 out of 10. Not to bad on gas when i drive efficiently. When driving in the highway the car has excellent respond to the pedal. Love it! Pros: It's a lot of fun driving fast and has excellent handling.